Indie Retro News: Montezuma's Revenge - 1980's Atari 8-bit Platforming classic, now with 13 new rooms! Montezuma's Revenge - 1980's Atari 8-bit Platforming classic, now with 13 new rooms! Zbigniew 'Saberman' Zielinski has again contacted us with more great retro gaming info, as he has told us José Tomás Parga has released a rom hack of Montezuma's Revenge and added 13 new rooms giving a new lease of life to this classic game. 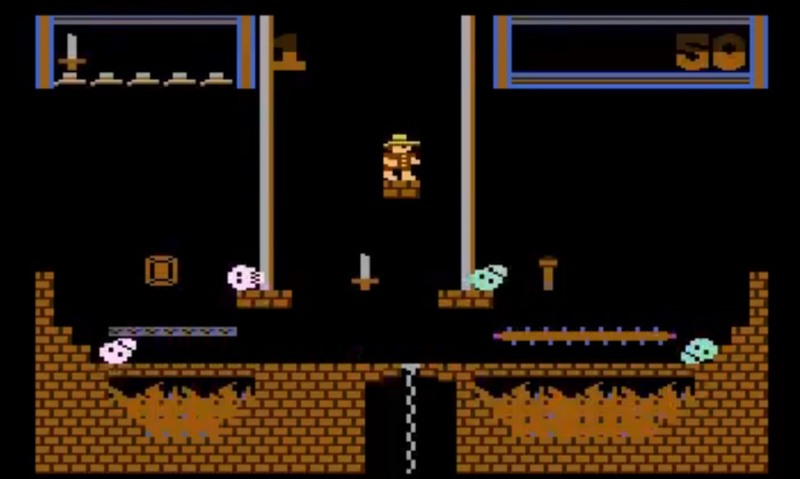 Montezuma's Revenge was an original game from the early 80's for the Atari 2600, Atari 5200, Atari 8-bit, Apple II, ColecoVision, Commodore 64, IBM PC, Sega Master System, and ZX Spectrum. It combines treasure hunting, lots of rooms, dangerous enemies and deadly fire traps as a highly recommended classic game to play. According to atariteca the original source of the news, José Tomás Parga disassembled the code of the endearing game of adventures, in order to program subroutines made by him so he could load modified rooms, as well as put enemies and items at discretion in each one. As and when time allows he will hopefully publish more modified versions of the game as well as looking at solutions to further compress the rooms and occupy the least possible space. So yes there's a lot more to come and we may even see a "Montezuma Maker", so that anyone can create new rooms!